It is a valuable way of getting some confidence and experience of caring for people. Participating on work experience can help you to explore possible future careers, can give a unique insight into the patient journey, providing valuable experience which could improve your chances of gaining entry to a specific university or college course. While there are many clinical or frontline roles which involve delivering care to patients and families there are also a large number of staff who work in other types of jobs such as scientists, accountants and media specialists. Work experience can help you to see first-hand what is involved in these roles and whether it is right for you. 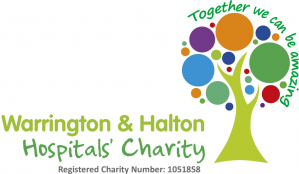 Work experience, for 14 year olds and above, takes place in a variety of departments within Warrington and Halton Hospitals NHS Foundation Trust. We consider applications from individuals who live in or attend an educational institute in the local area due to high demand for placements; priority will be given to applicants attending schools in the catchment areas of the hospital sites. Please note that not all departments are able to accept work experience placements and others will have specific criteria which students must fulfil. The entry age for clinical and theatre placements is 17 years old. We do not consider applications where the criteria have not been met or the correct procedure for applying has not been followed. All eligible applications are dealt with in strict rotation - as we receive high volumes of applications, particularly in summer, we may not be able to accommodate all requests. In order for you to take part in a work experience placement, you first need to think about what your career aspirations are and which department you would like to work in. The next step would be to contact the work placement coordinator: susan.cardus@nhs.net for more information and the application form.